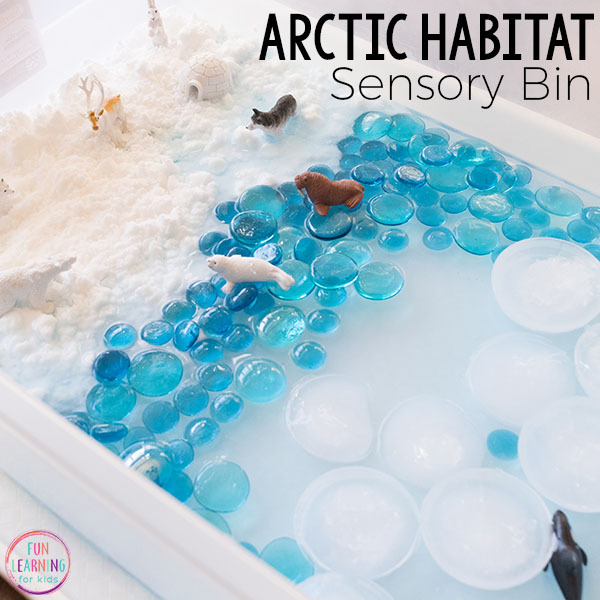 This Arctic sensory bin was a huge hit with the kids! 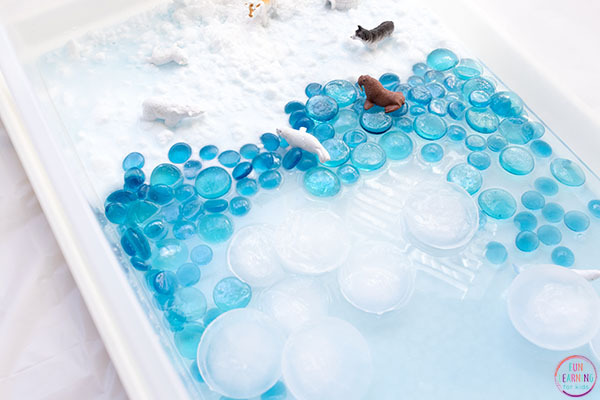 It’s a winter activity lets kids explore the Arctic habitat in a hands-on way. 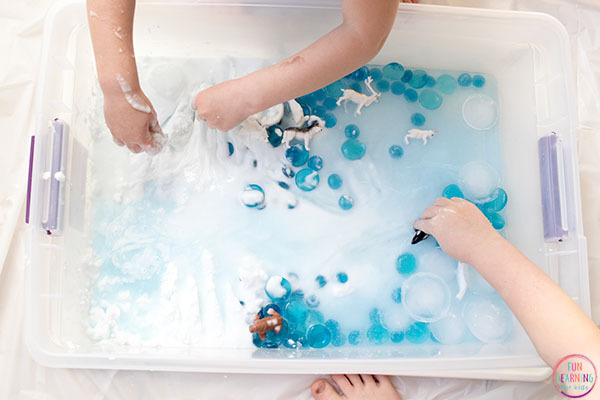 I love when we combine science and sensory play all at once! 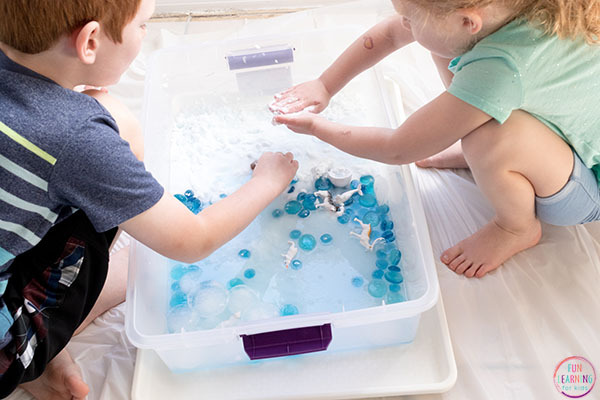 Make some fake snow and freeze some ice and you’ll be ready to make this fun winter sensory bin too! 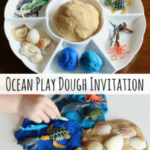 We had so much fun with this sand and water ocean sensory bin last summer and my kids have been asking me to make another one like it. But since it is winter, I thought an Arctic version would be perfect! 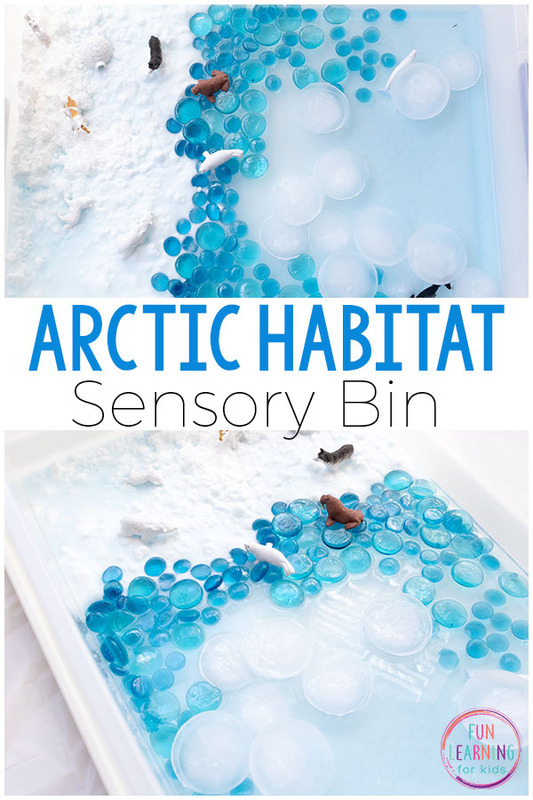 My kids love a good sensory bin and this one did not disappoint. They absolutely loved it. Even better, it led to lots of discussion about the animals and people who live in the Arctic. 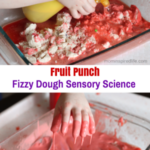 It was a fantastic way to touch on science and social studies while engaging in hands-on sensory play. 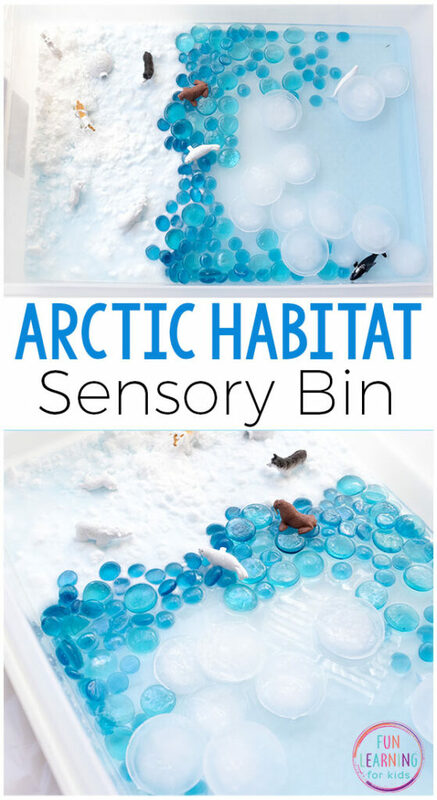 This Arctic sensory bin is very simple to put together. 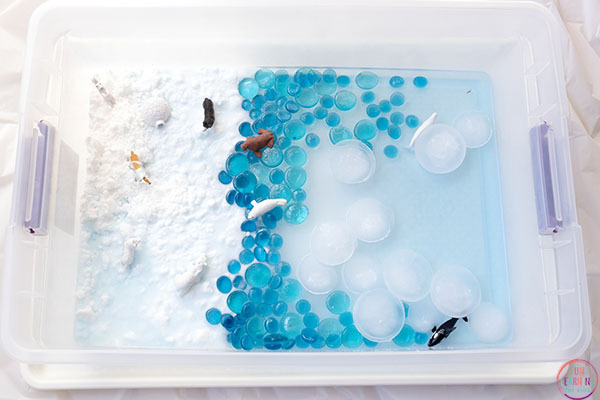 You only need a few supplies and some time to let the ice freeze. 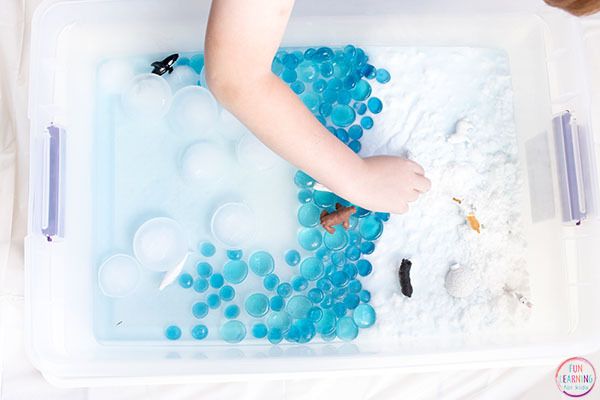 To start, make the snow and icebergs. Put varying amounts of water in each cavity the muffin tin and put it in the freezer until the water is frozen. 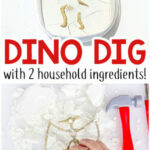 Make fake snow by combining 6 cups of baking soda and 1 cup of conditioner. Mix them together until they are fully incorporated. *You can buy a 3.5 lb bag of baking soda for a couple of dollars and I used Suave Daily Clarifying conditioner which was also really affordable. 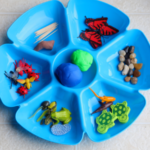 Mix a few drops of blue food coloring with a couple of cups of water, if you would like. Once everything is ready you can assemble the bin. Put the “snow” on one side of the bin. Then put the craft gems at the edge of the snow. Slowly pour the water into the other side of the bin. Some will seep into the snow. If you don’t want it to mix into the snow too much, use less water. Remove the ice from the muffin tins and place in the water. 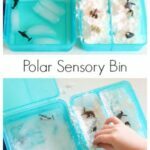 Then add the Arctic animals to the bin. Now the bin is ready for the kids to enjoy! 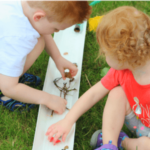 My kids really enjoyed playing with all of the animals in the sensory bin. They knew that some of them lived in the Arctic, but others were a complete surprise to them. This opened the door to lots of discussion about the types of animals that live in the Arctic and what their habitat is like. They were also surprised to know that people live in the Arctic as well. We have plans to read books about the Arctic habitat and the people who live their so that we can get to know more about it. 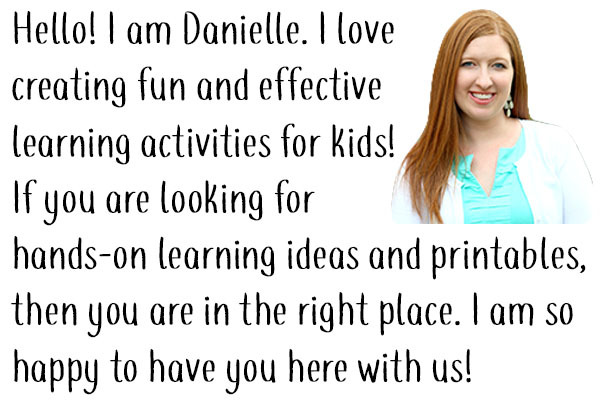 Pair this activity with these books to add even more learning opportunities!